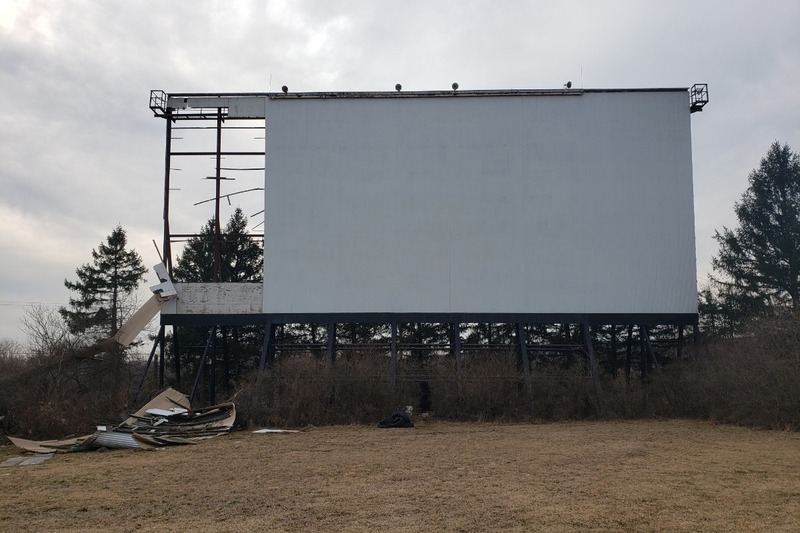 Fundraiser by Jeff Mattox : Save The Mahoning Screen! It seems like we just can't catch a break with damage to important, historical elements of our beloved business. You may recall that last year our marquee was damaged in a winter storm. With your help we were able to raise over $7000 to help repair and restore it. Many thanks to all of you who helped bring the marquee back from the edge of extinction! Once more we are asking for your help. Our screen, the second largest on the East Coast, was damaged in a windstorm over the course of this past winter. We've been planning to have the screen repaired since the end of last season, but unfortunately the damage has made this an immediate priority due to the approaching season. In case anyone doesn't know what the Mahoning is about, we are a business dedicated to preserving and playing classic 35mm film and maintaining the classic drive-in experience. Our drive-in is the only one throughout the world to exclusively show retro and classic films using the original projectors still standing in the original concession stand from the 1950's. There is no where else where history and love of film combine to revive the true, American spirit of the drive-in.